Get your favorite Doggie Design harness in a limited edition winter-themed print with the HO HO HO American River Choke-Free Holiday Line Dog Harness! The famous features you love in a choke-free safety harness are now available in a festive winter print! 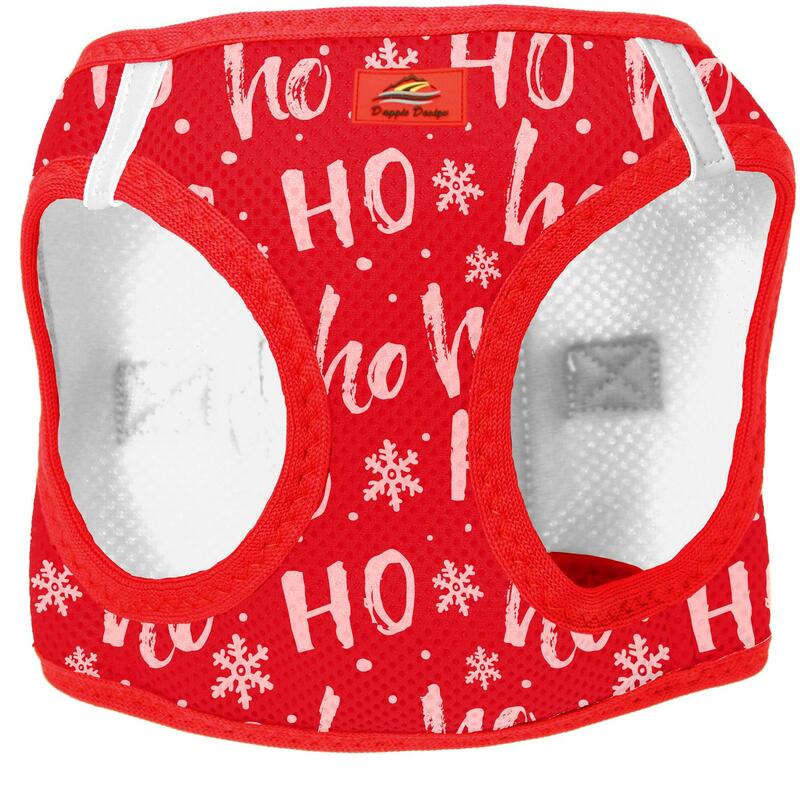 This limited edition Ho Ho Ho American River Choke-Free Dog Harness by Doggie Design is perfect for the holiday season and comes with the words "Ho Ho Ho" and snowflakes scattered over a red background. American River Choke Free Dog Harness Holiday Line - HO HO HO Customer Photos - Send us your photo! Frankie loves his holiday harness! Posted On 11/17/18 by Amy from Colorado Springs , CO Yes, Amy recommends this product!